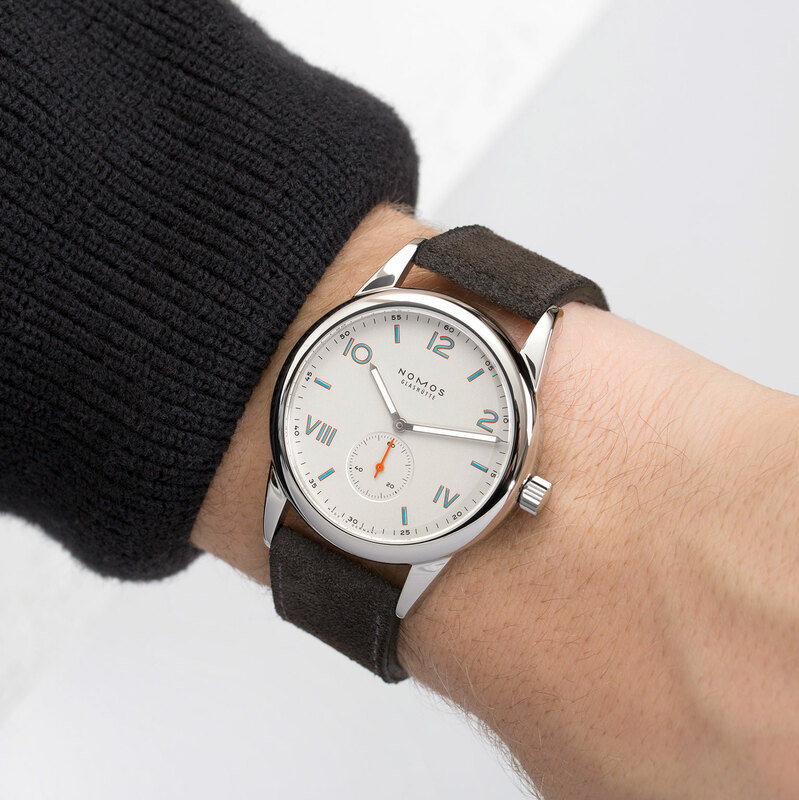 Conceived for fresh graduates, or even students if they are so lucky, the Nomos Club Campus collection is made up of a trio of wristwatches for both men and women with an unusual dial design. Just unveiled at Baselworld 2017, the Campus watches are priced slightly lower than the equivalent regular models, but are no less appealing. In fact, the Club Campus watches have dials with a combination of Arabic and Roman numerals, along with funky coloured accents. Known as the California dial, such dials were found on early Rolex and Panerai wristwatches (the latter were made by Rolex as well). 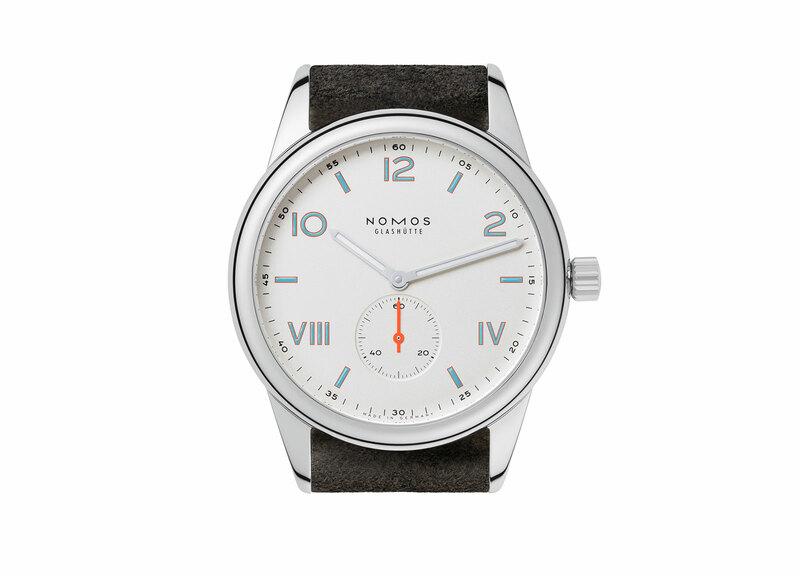 Legend has it the the California moniker arose in the 1980s thanks to a company based there that refinished vintage watch dials in this style. Another feature unique to the range is the flat case back that can be personalised with a complimentary engraved message for the graduate. 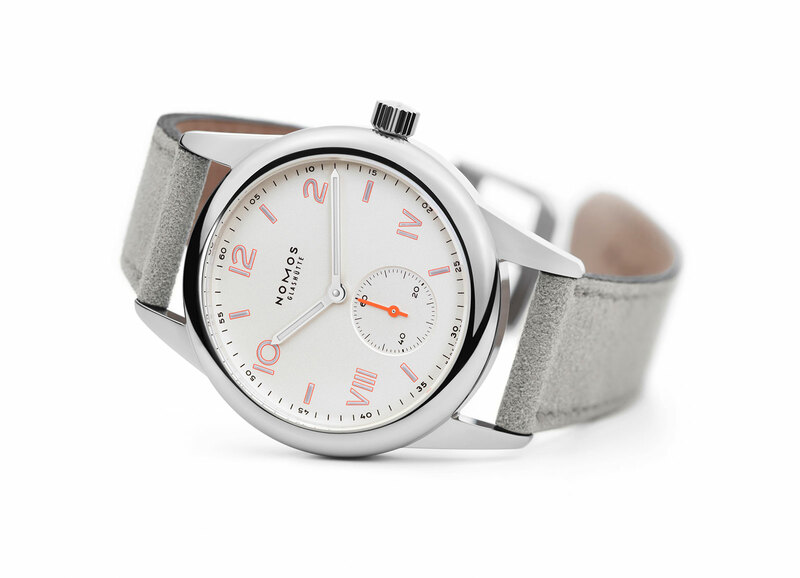 The base model is the Campus Club, a 36mm wristwatch for ladies with a silver dial and the hour markers in pink. 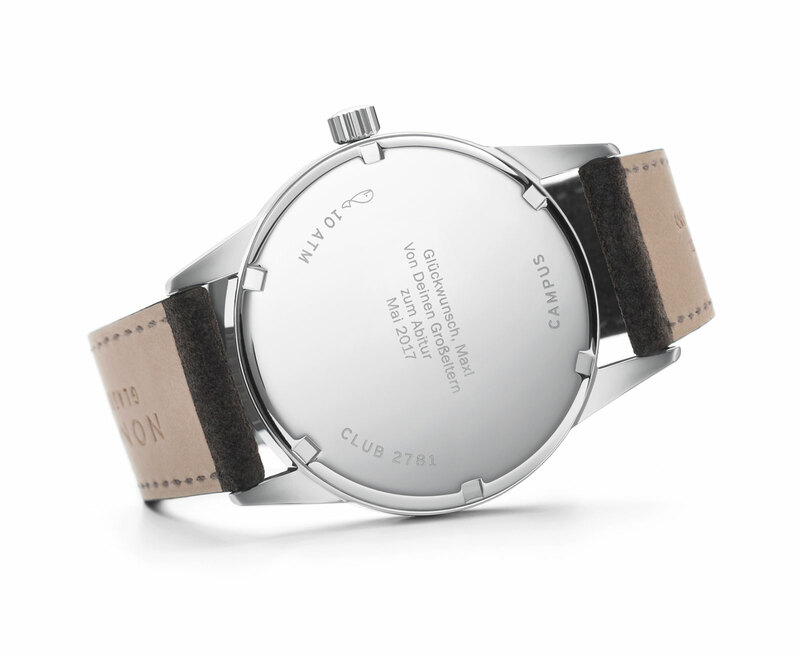 The Club 38 Campus is 38.5mm and available in two colours. The first in silver with pale blue hour markers outlined in red, and the second is the Club 38 Campus Nacht with a dark grey dial. All three Campus watches are equipped with the Alpha movement, a hand-wound calibre with a 43-hour power reserve. 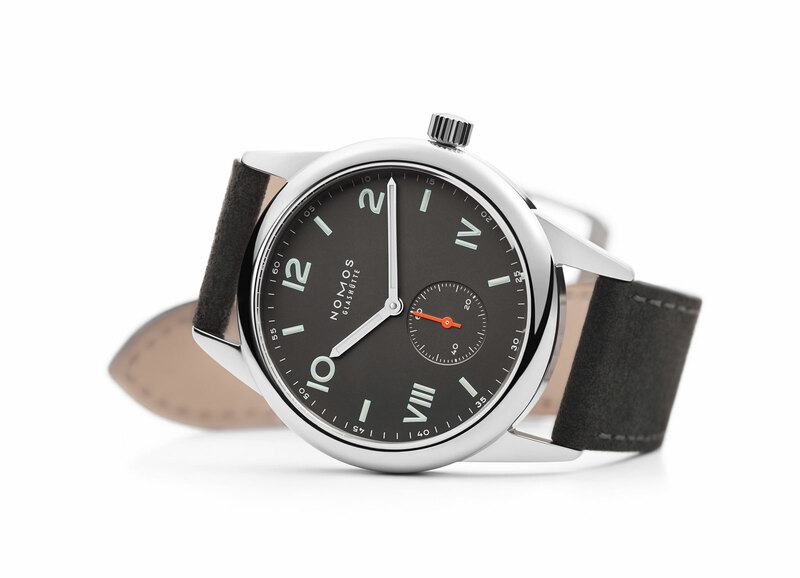 Though produced in-house by Nomos, the Alpha relies on the Peseux 7001 for its construction. 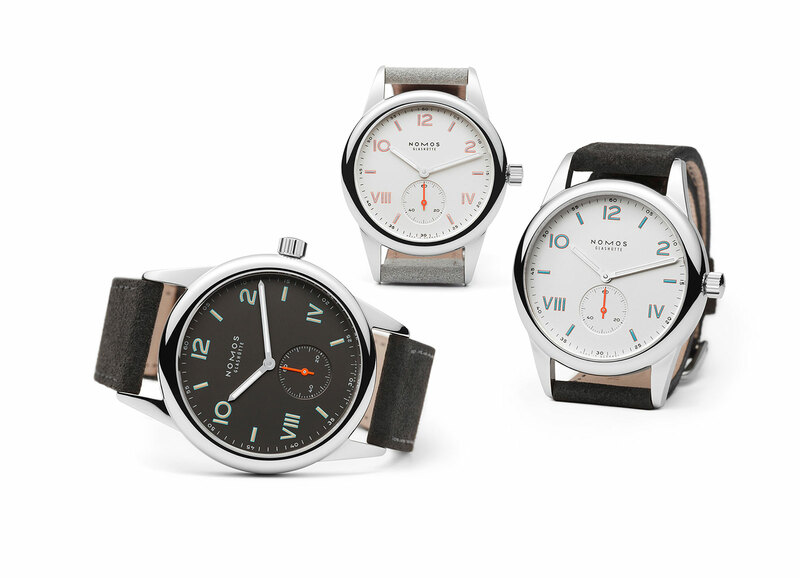 The Club Campus watches will reach Nomos retailers end March 2017, with prices as follow.